Our 2016 vintage has a gorgeously perfumed nose, redolent of purple flowers and wisteria violets dancing with bright cherries, whisked together by whiffs of manzanita and pepper. Light to mid-weight on the palate, bolstered by plenty of acid and brightness with really well-integrated tannin. 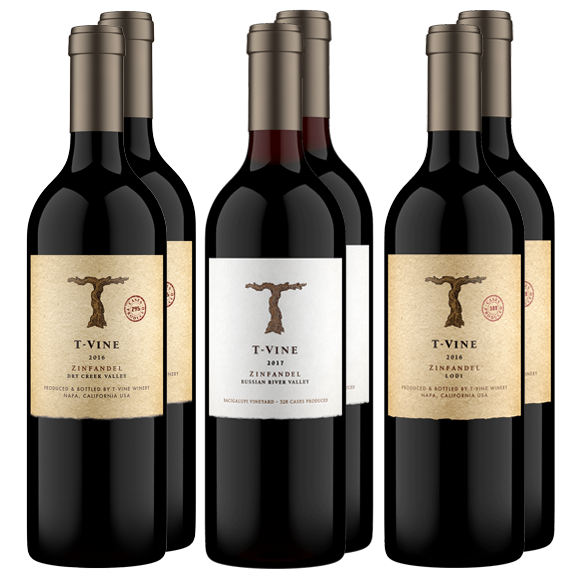 Sourced from heritage vineyard sites, this elegant red is bursting with notes of bright and juicy tart cherries with layers of cedar, herbs, and fall spices. Blue and black fruits jump out of the glass to instantly grab your attention. Subtle notes of citrus pith scattered with cloves add layers of complexity. The palate leads with hints of blackberry and blueberry and transition to notes of pomegranate. Lively acidity freshens up the wine and carries the finish to a wonderful earthy minerality. Our inaugural vintage brings together everything you'd expect from Dry Creek Valley. Brilliant ruby in color, fresh aromas of summer peaches, vanilla, and cinnamon entice while flavors of ripe fruit, caramel, and blackberry jam keep you coming back for more. Great length and richness on the finish allow for a long, slow savoring of the wine.